Union Mills is a great place to live and location wise, you just can't beat it. An easy 5 minute commute to Douglas, the houses for sale in Union Mills come with plenty of advantages. A handy local Spar shop, a petrol garage, a friendly pub and nearby to the Island's hospital, Union Mills offers the perfect location without compromising on beautiful scenery. Pleasant neighbourhoods, helpful bus routes and a local football club all make Union Mills houses for sale even more desirable and Black Grace Cowley understands the attraction when it comes to property for sale here. A lively area during the TT races, the local pub, the Railway offers the perfect spot to watch the bikes. A favourite amongst residents and visitors alike, this place really comes alive during the summer months. Union Mills is also home to the old railway line which used to run from Douglas to Peel in its heyday. The line was closed in 1965, but now offers a great route for dog walkers and cyclists. 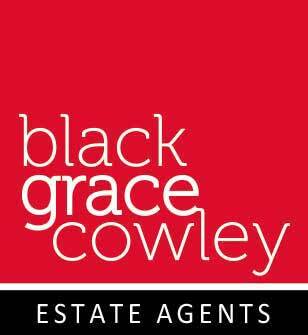 At Black Grace Cowley, we understand the importance of highlighting the benefits of each area in the Isle of Man. We think it's important that you know all the facts when you're looking for somewhere new to live, after all, how else do you make the best decision? When it comes to property for sale in Union Mills, we love showing you the options available that meet your requirements. We have a combined experience of over 90 years which means one thing; we know exactly what we're doing. We love helping our clients and we love property. If you'd like us to help you start your search for Union Mills homes, all you need to do is give us a call or come and visit us at our offices. Our passion is helping you find your property.